ACCURATE ENGINEERS is a company having its unit location at Faridabad in Haryana State was established and starts business since 1990. 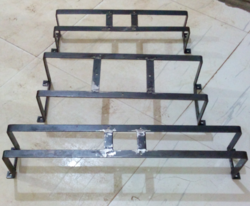 The company is involved in manufacturing of sheet metal, fabricated components & Auto Component. n our extensive product range, we offer Parts for AC's and Refridgerators, these are known for features like durable finish standards and reliable performance. In addition, these are also appreciated for their dimensional accuracy and rigid construction. Available at market leading prices, these are extensively demanded in domestic market. 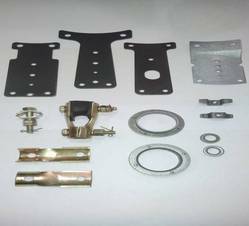 We are leading manufacture of auto components. 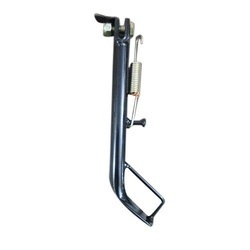 Swing arm is one of our leading and most in demand product which is manufactured by us in our unit. As we are manufacturer our rates are most competitive. Also we can develp new products as per client's requirement. 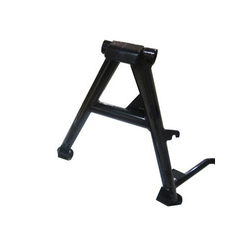 n our extensive product range, we offer Side and Main stand, powder coated, these are known for Slike durable finish standards and reliable performance. In addition, these are also appreciated for their dimensional accuracy and rigid construction. Available at market leading prices, these are extensively demanded in domestic market. 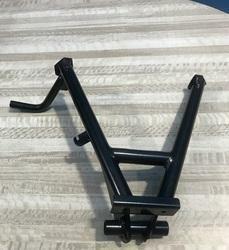 Chimta/Jhoola/Swimg arm for Splendor, Deluxe, Discover etc..
Main stand of bike is one of our leading and most in demand product which is manufactured by us in our unit. 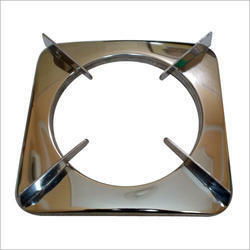 n our extensive product range, we offer Gas Stove Pan Support. 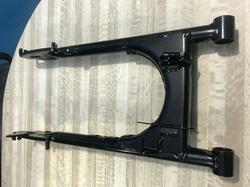 Enamel coated and powder coated, these are known for features like durable finish standards and reliable performance. In addition, these are also appreciated for their dimensional accuracy and rigid construction. Available at market leading prices, these are extensively demanded in domestic market. 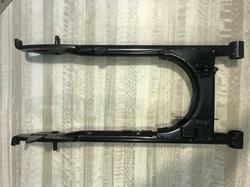 n our extensive product range, we offer most the parts whcih are powder coated, these are known for features like durable finish standards and reliable performance. In addition, these are also appreciated for their dimensional accuracy and rigid construction. Available at market leading prices, these are extensively demanded in domestic market. n our extensive product range, we offer Cieling Fan Parts these are known for features like durable finish standards and reliable performance. In addition, these are also appreciated for their dimensional accuracy and rigid construction. Available at market leading prices, these are extensively demanded in domestic market.